Alessandra Ambrosio, Doutzen Kroes and Lily Aldridge led a team of Victoria's Secret angels in a supermodel fundraiser cycle on Wednesday. "Here we come #SoulCycle!!! 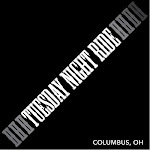 Riding for #Pelotonia! #JamesHospital! @VictoriasSecret @elsahosk," Lily tweeted. The spinning event, held in New York, coincided with the annual ride in Columbus, Ohio and invited the public to cycle alongside the gorgeous angels. Amongst the top model team stood Elsa Hosk, Gracie Carvalho, Lindsay Ellingson and Magdalena Frackowiak. Kitted out in lycra leggings and their fundraiser tops, the girls were also joined by their instructor, Melanie Griffith, who coincidentally shares name with Antonio Bandera's actress wife. "Just finished @victoriassecret #supermodelcycle with the AMAZING instructor @iamnowmellyG! @soulcycle..." model Lindsay wrote on Twitter.